Granada is a city with a rich and diverse history that’s found in the heartland of the province of Andalucia in southern Spain. 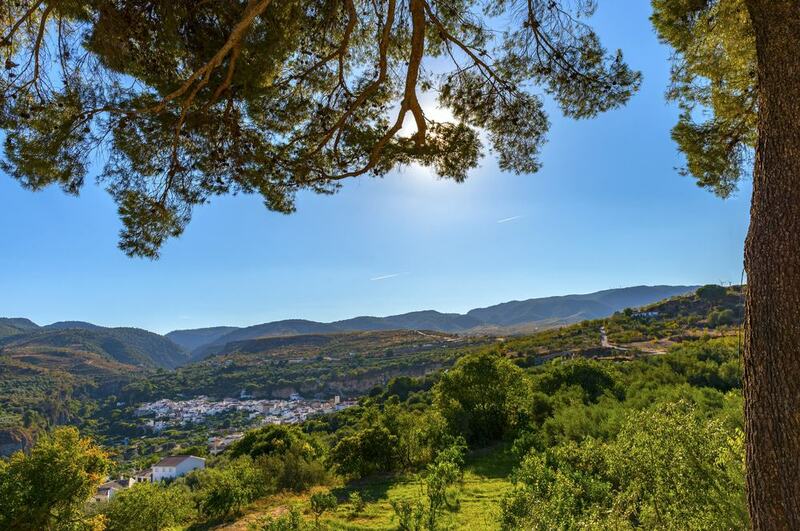 It’s close to the Mediterranean coastline but is found inland, amongst the cooler hills and mountains in the shadow of the magnificent Sierra Nevada mountain range. It’s a city that’s famed for its Moorish legacy, as this was a culturally and politically important city during the Islamic occupation of Spain. Indeed, in many of the surrounding towns and cities of Andalucia, you will also find many more intriguing histories and Moorish influences too. There are many day trips to be enjoyed from Granada, from the famous cities of Seville or Malaga, to the mountainous landscapes and high altitude towns and villages of Andalucia. There’s always the beach to visit too, and the Costa del Sol and its many coastal communities are just a short drive away. 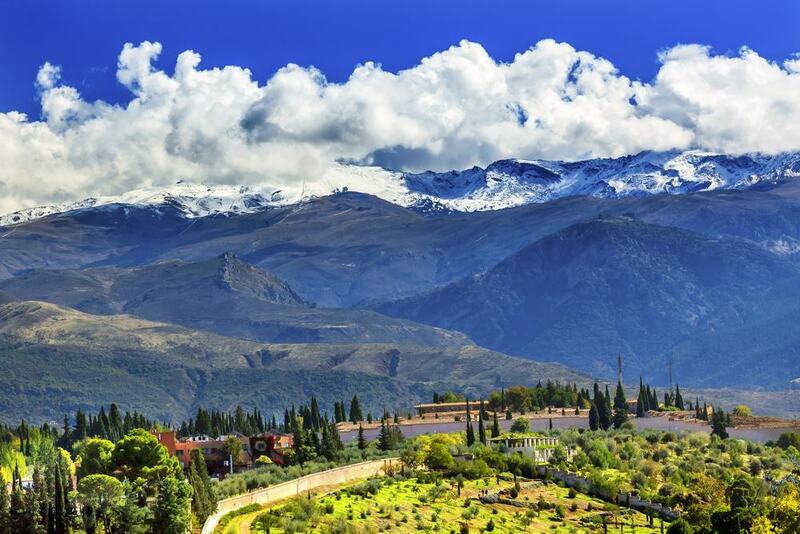 To the south and east of Granada, the vast Sierra Nevada mountain range will keep you returning day after day to experience all that this outdoor region has to offer. The mountains here are incredible to see, as the tallest peak reaches a lofty height of 3479 metres. Mount Mulhacen is the highest peak in Spain, and one of the highest in Europe too. While you might not necessarily fancy climbing to the top of this high summit on a day trip, there are plenty of other, smaller peaks to tackle and countless trails to hike. It’s a wild and spectacular part of the country, and a truly unique place to explore. Sacromonte is found on the eastern edge of Granada, and it makes for an easy getaway from the city. 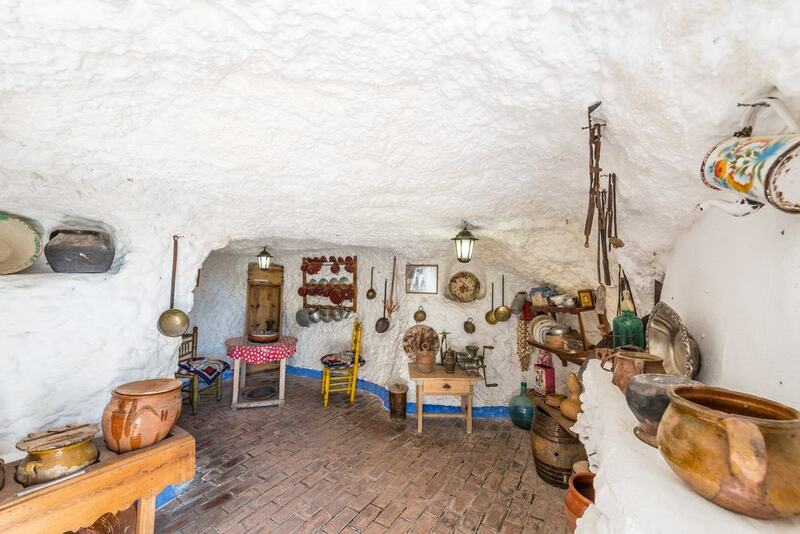 What you will find in this community though, is a place of extraordinary novelty, as many of the people of Sacromonte don’t live in houses, but in caves. This is the way the locals here have lived since at least the 16th century, when their ancestors carved homes from the soft rock high in the hills to provide a safe place to live in what were turbulent times. The caves these days are decked out with all the usual trappings necessary for modern life, and to get inside one of these unusual abodes you would have to talk nicely to the residents, as remember, people actually still live here. 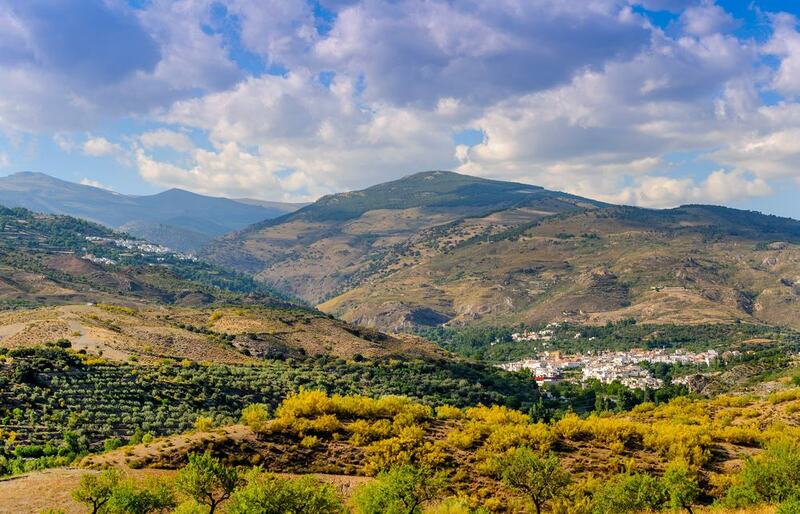 The Alpujarras is a region of mountainous villages and towns that are found in the shadow of the Sierra Nevadas, to the south of the indomitable mountain range. There are many villages to be found, all of them in striking locations, surrounded by hills and peaks. The houses and buildings in this region are all a distinct white colour and many still retain the unique Moorish designs and patterns that they were originally constructed with many centuries ago. There are plenty of hiking opportunities in the hills that can take you from one charming village to the next. 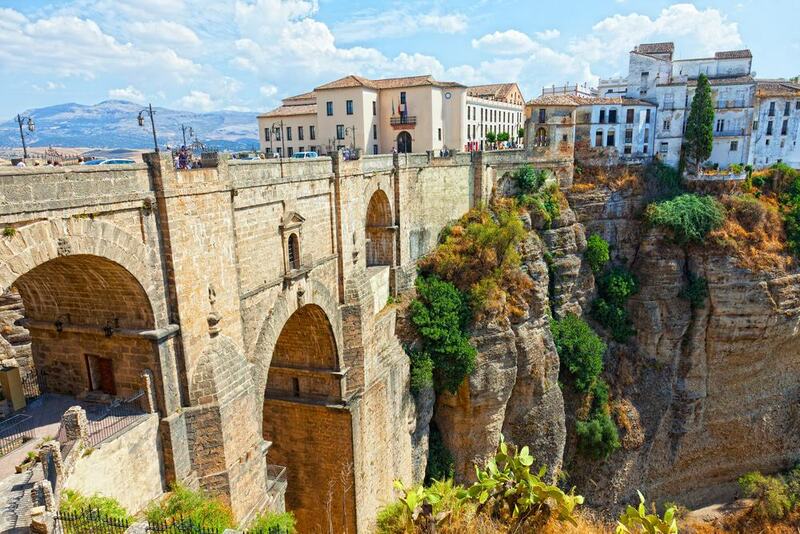 Ronda is another dramatic town that’s found at high altitude in the mountains of Andalucia. It’s found to the east of Granada, about two hours away, and it takes a steep, sharp and winding ascent of a harrowing cliffside road to reach it. It was made famous by Ernest Hemingway, who spent much time here and found much inspiration. It’s one of the most photogenic cities in Spain, perched on a mountain top overlooking a deep ravine. There are many cobbled streets to walk, never-ending views, and a museum devoted to the history of bullfighting, which provides an insight into this deeply dividing practice. 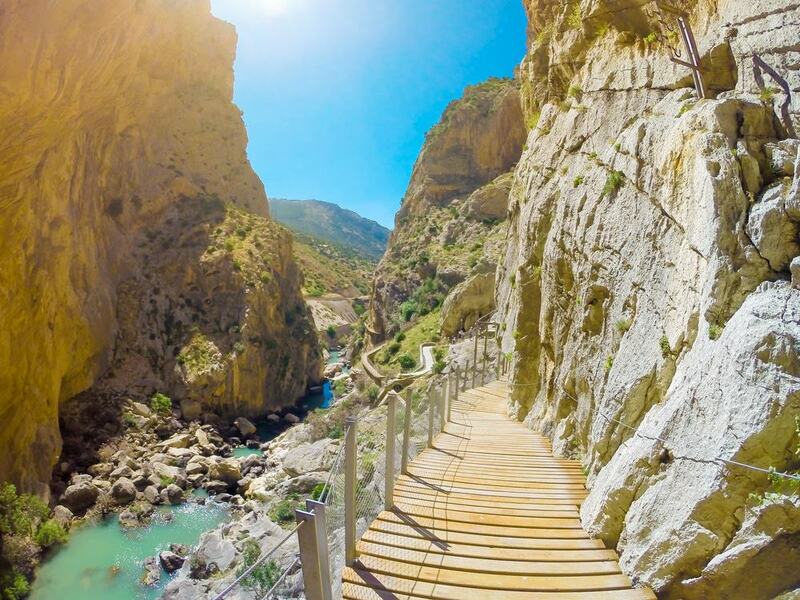 If you can survive more harrowing heights, then you must travel to the newly opened El Caminito del Rey, a hiking trail which translates as the King’s Little Path. This is not for the faint-hearted, as the trail follows a route along the cliffs and rocks of El Chorro Gorge, in the same region as Ronda. Originally, it was simply wooden planks nailed into the cliff itself, but after too many accidents, the authorities closed the original route and turned it into a much safer tourist attraction which can now be walked with a guide and safety harnesses. On the coast to the south of Grenada can be found the beautiful Moorish inspired city of Almeria. 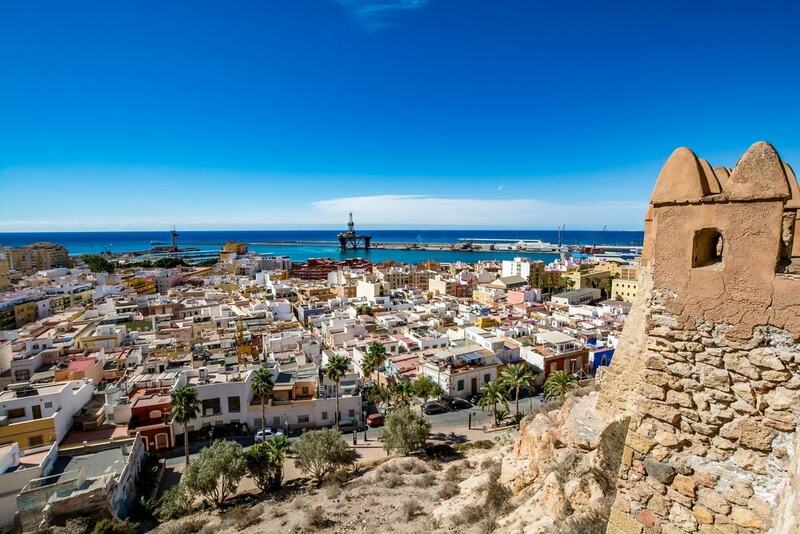 The city traces its lineage back to the 10th century, when Moorish invaders established the strong defences of the Almeria castle which still stand today. Walk the walls of this medieval fortress and gaze out to sea as people have for centuries, before strolling through the streets of the modern city and along the shorefront, stopping in local bars and restaurants along the way. The Lecrin Valley is an area of beautiful landscapes and charming villages that can be found just a short drive directly south of the city. It’s an excellent escape from the city, and you will be amazed at the stunning lake, the rolling hills and the unspoilt nature of the towns and villages. This is an area that’s not really been developed for tourism, unlike much of the coast, and it doesn’t see the same number of visitors as Granada, so take the opportunity to really enjoy the local culture. Nerja is a quiet coastal town that’s well known for the elaborate Roman aqueduct that still stands nearby. It’s a historic place, but many visit for the natural beauty that’s found here too. The beaches are wonderfully quiet in comparison to other parts of Andalucia, and there are plenty of snorkelling and diving sites offshore. The Nerja Caves have long been a tourist draw too, and very much worth a visit. 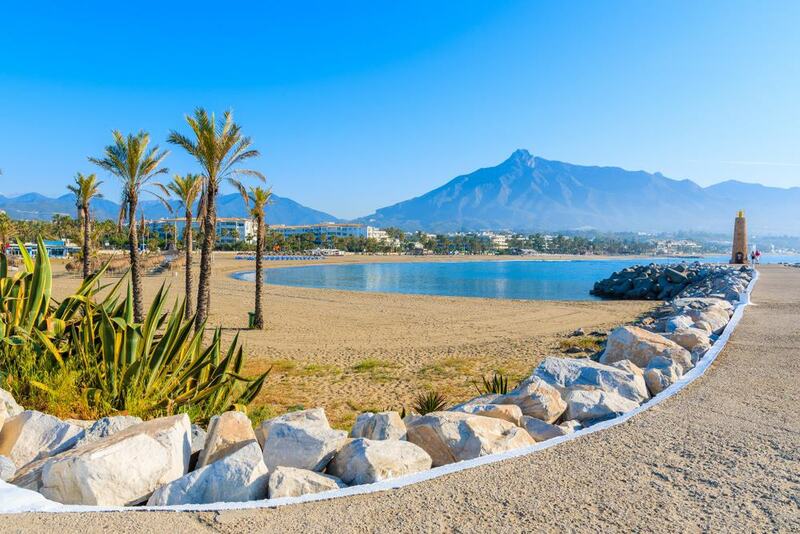 Marbella is the very centre of the long Costa del Sol that has long been attracting holidaymakers and vacation goers from the colder parts of Europe. While the nearby resorts aren’t worth a day trip from Grenada of course, the town of Marbella itself is. It’s in a lovely coastal location, and the long boulevard is breezy in the Mediterranean wind. There are some excellent restaurants, and you’ll find that most of the tourists much prefer to be on the beach than exploring the streets. 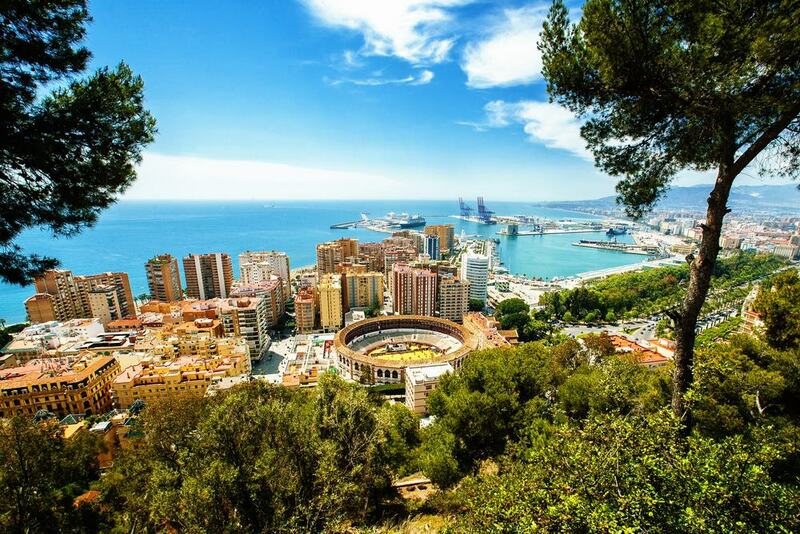 Although found on the Costa del Sol, the city of Malaga is everything that the coastline isn’t. It’s historic, cultural and for a big city still retains a somewhat local charm. 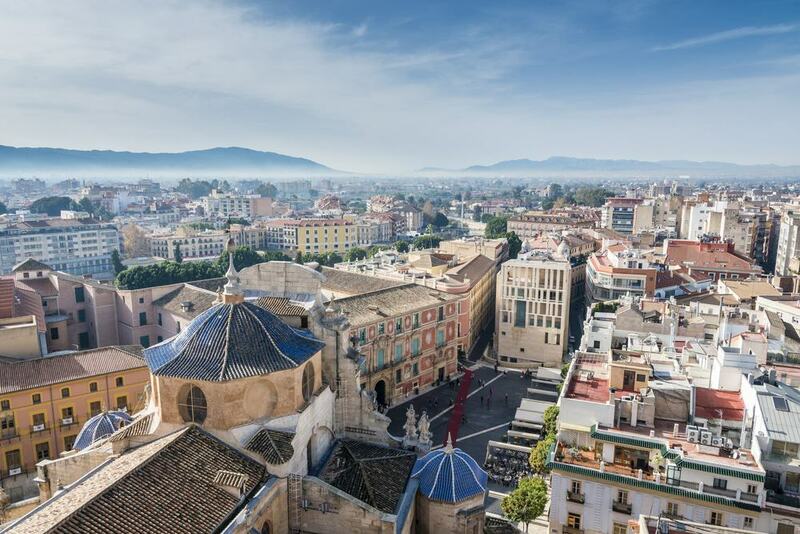 You don’t visit Malaga for the beaches, but for the grand cathedrals, intricate architecture and the excellent streetside bars and cafes that serve up authentic Spanish cuisine in a laid-back atmosphere. Seville has a quiet air of authority about itself. It doesn’t need to promote itself or draw tourists in with deals or cheap flights, because this is Andalucia’s most impressive city destination. It’s a place of grandeur and ornate architecture, the capital and largest city of the region, and a thriving hub of Andalusian culture and food. There are extravagant places to explore and a plethora of museums and a maze of old streets to lose yourself in. 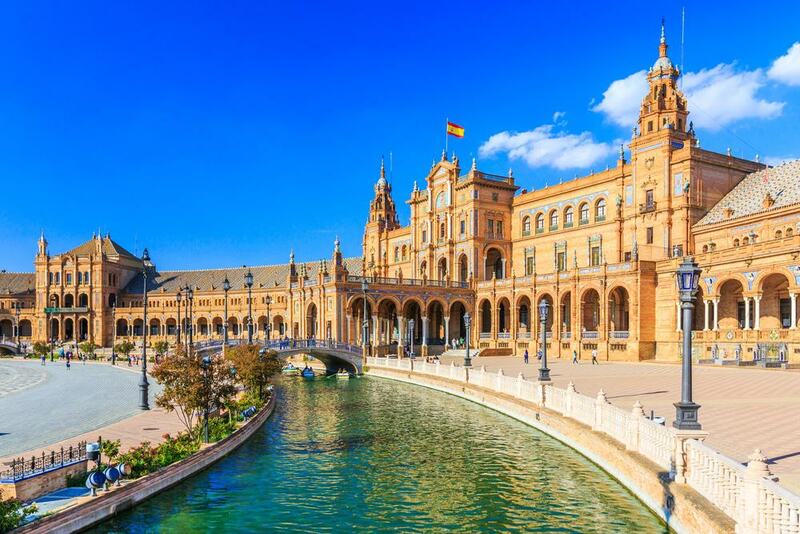 Don’t miss the iconic Alcazar of Seville, or the iconic Plaza de Espana, where you can even ride a gondola through the Venice-like waterways. Cordoba is one of the oldest cities in Spain, with its roots going far back to Roman times. It has played an important role in Spanish history too, as this was the capital of the Moorish Kingdom that ruled Andalucia for centuries. 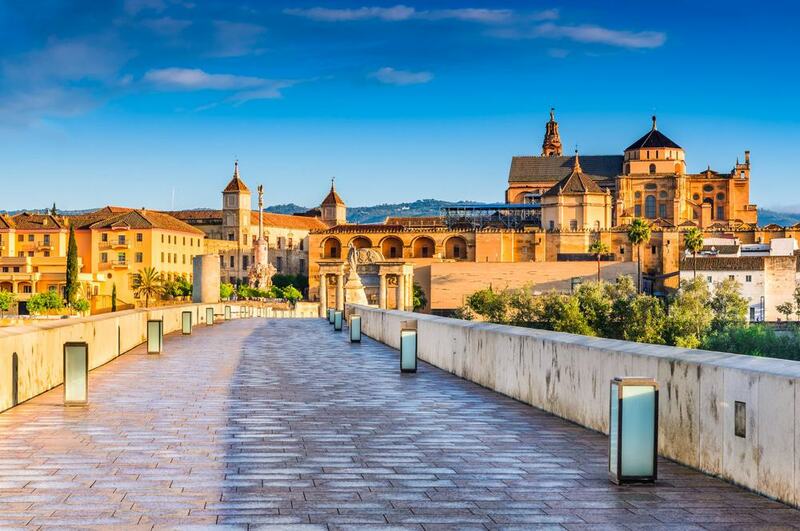 There is much to see in Cordoba, from the Roman-built bridge that spans the river, to the UNESCO World Heritage old city centre. There are Moorish palaces with their Islamic inspired designs and Spanish buildings and churches to be seen in Cordoba. Cadiz is found far to the west of Granada overlooking the Atlantic Ocean, but it’s worth the early start to make a day trip here to enjoy what is Andalucia’s most historic coastal city. 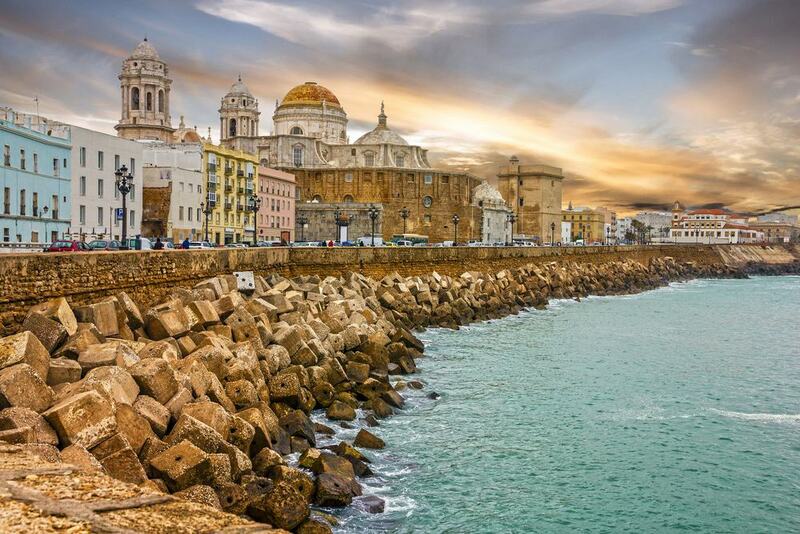 Cadiz is thought to be the oldest city in Spain, founded by seafarers thousands of years ago. It was from Cadiz that many explorers and conquistadors left to build the Spanish Empire across the world from the 15th century, while in later years it was one of the few cities to hold out against Napoleon. Stroll the historic streets, watch the Atlantic crash against the harbour walls and enjoy a meal of fresh fish at one of the many local bars. Murcia is located to the west of Granada, and a visit here will take you outside of Andalucia, and into a different region of Spain. It’s a long day trip, but it’s an excellent way to see more of this diverse country, and to get a taste of the peculiarities and differences that each region has. There’s a great deal of history, museums and Moorish castles to explore, as well as some of the most beautiful and pristine beaches to be found anywhere along the Mediterranean coast. 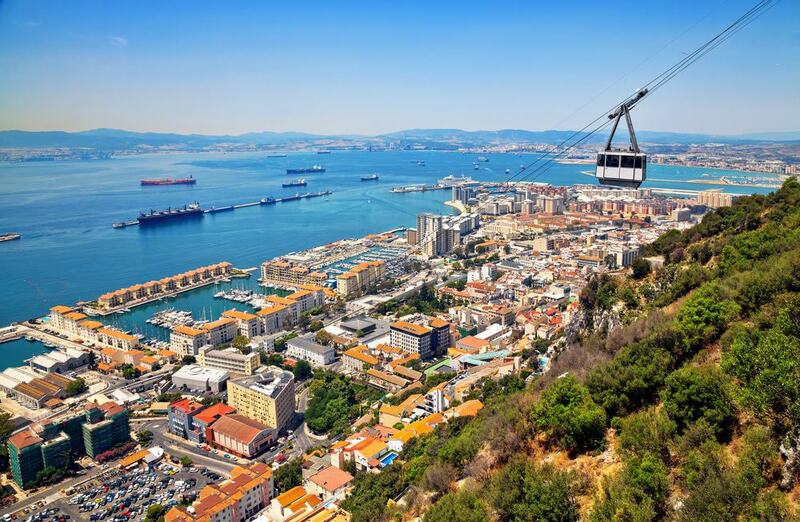 Gibraltar is one of the most interesting day trips that you can make from Granada. It’s one of the most important and strategic places along the coast, as just across the narrow strait is Tangiers and North Africa. Gibraltar is essentially just one giant rock, but it’s not Spanish, but British. It’s a peculiar place to visit, home to a small population of people who speak English and Spanish but portray themselves as more British than Britain. There are red post boxes, double-decker buses and fish and chip shops. It’s like England, but it’s sunny.